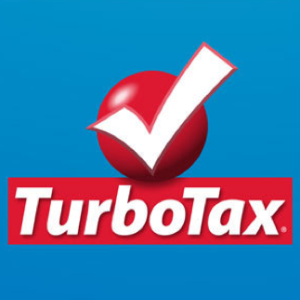 Turbo Tax is one of the top tax preparation softwares on the American market today. It has been rated as the #1 best-selling tax preparation product available, and includes free preparation and e-file for simple tax preparation for federal filings. The product also comes equipped with add-ons for those users who choose to itemize deductions rather than take the standard tax deduction, and for those users with businesses, gambling winnings, multiple jobs, and other special tax situations. How Does Turbo Tax Work? Turbo Tax is easy to use, and users can login in from any computer in the world to continue their tax return, as long as they are connected to the internet. It’s simple to use, especially for the majority of customers, who use the online version, according to the Turbo Tax review Amazon user posts. Users simply create a login, and follow the prompts to enter tax information and to determine how to file to get the biggest refund. Turbo Tax includes all of the IRS forms that are needed to complete taxes and help you maximize deductions, report your investments and rental property, and complete all of your forms for personal and business expenses and income. Turbo Tax estimator helps you see your refund grow and shrink as you add information so you know what to expect before you reach the end. What’s the Difference Between the Versions of Turbo Tax? Turbo Tax has multiple editions online and for download (or on CD). Turbo Tax free online edition allows users to file their federal taxes for free, includes import features from workplaces listed online, and from other tax programs. The deluxe edition online does all that and finds all of your deductions for itemizers, helps you make decisions that reduce your risk of audit, and deals with big life changes that may have impacted your taxes. Premiere edition also works to provide investment and rental property guidance, Turbo tax business helps with self-employment income. The download/cd edition does what each of these editions can do, but also provides 5 free e-files, free preparation and filing of all federal returns, and a guarantee for the biggest tax refund. Turbo Tax review 2013 lists indicate that each of the versions works perfectly for the processes indicated, and that users can upgrade at any time to a paid version or a higher version if the one they’re using isn’t right for them. If you’ve never used Turbotax.com, now is the time to start. Turbo Tax has audit support and guarantees that your numbers are correct, so you don’t have to worry if the IRS comes to call. You can also save yourself time by importing your prior year’s tax return information directly into Turbo Tax. And you’ll save even more money on your taxes by using the Deluxe or higher editions, which help you maximize your deductions and credits to lower your tax liability and increase your refund. Turbo Tax review Canada users also indicate that it works for Canadian taxes, too! If you’re ready to do your taxes yourself, why wait any longer? Head on over to TurboTax.com and get started!